It is a fact: people are never satisfied. We always seem to crave what we do not have. This sin of covetousness is addressed in the last two commandments of the Decalogue. 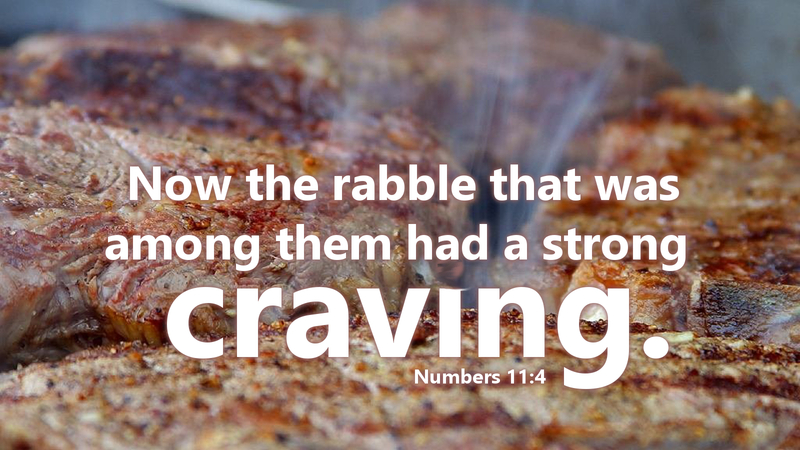 The Hebrew people in Numbers “had a strong craving” for something they once had and now they wanted God to give it to them again. God delivered them from slavery—something they cried out for—saved them from the pursuing Egyptian army, gave them water from a rock and bread from heaven, but they were not satisfied. In short, despite having everything they needed, they were not satisfied. God had every right to be angry. It seems the more God did for them, the more they coveted something else. Are we sinful, self-focused creatures ever satisfied? According to Luther, original sin, is to be “curved in on oneself.” Original sin is to place our wants ahead of God, thereby making an idol out of the things we desire. The problem is that the self’s appetite is never satisfied. It is only when we put God first in our lives and look to him to provide “our daily bread” that we can find true satisfaction. Prayer: Heavenly Father, forgive us for not putting you first and trusting in you to provide exactly what we need—our daily bread. Amen.